My wife invited four of our friends for dinner on Saturday night as a quasi house-warming party. She thought it would be a good idea to have some board games that we could play so we bought Monopoly and Yahtzee. The opportunity to play never came up on Saturday but the next day Rose challenged me to a game of Monopoly. Everything went well for a while but then Chris jumped onto the table and lied down on top of the board after walking over my money and messing it up. I picked him up and put him down on the floor but he jumped up on the table again. This time he lied down off to the side a bit so I thought it would be better to leave him there than to constantly play the game of up-down. I was wrong. He started swishing his tail and Rose’s houses went flying so down he went. He didn’t get back up, probably because Floki was now on the table wondering what was going on. Since nothing attracts a crowd like a crowd, Frankie had to get up on the table to investigate. 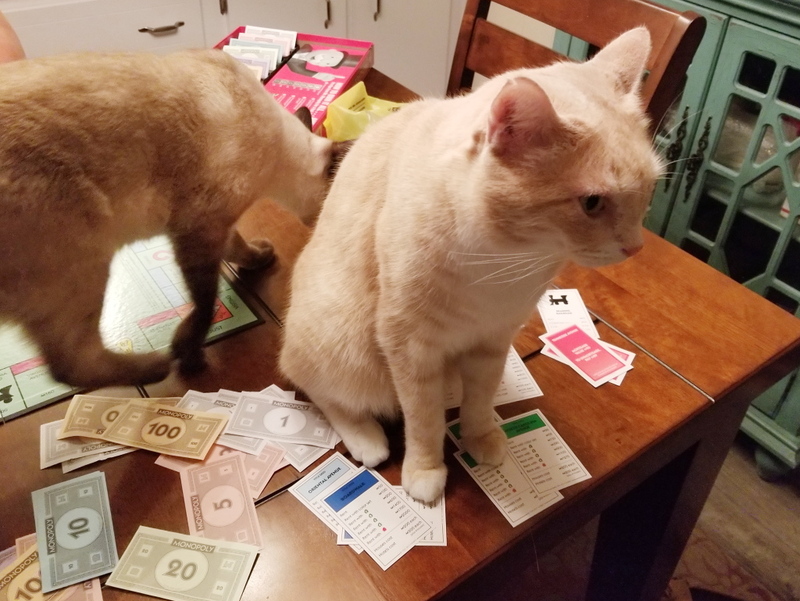 Eventually, when all our cats were done monopolizing our game, we were able to play again. Naturally, I won but don’t tell Rose I told you. Shhh. 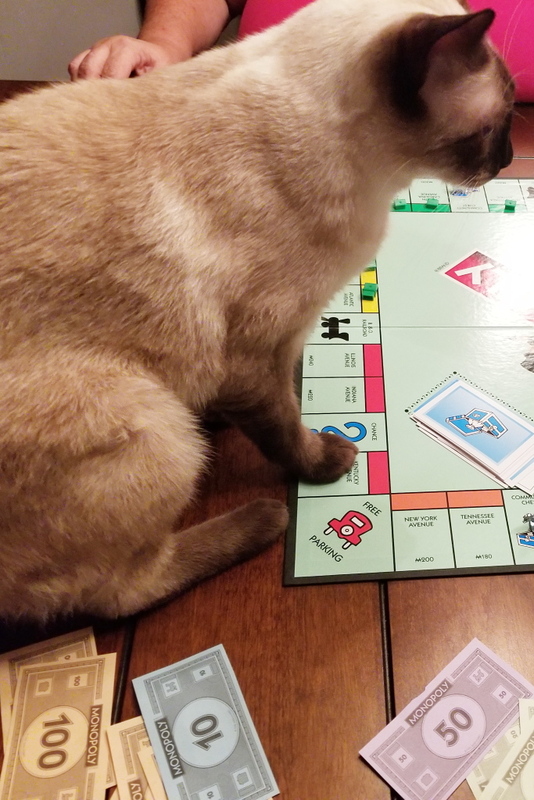 A similar thing happened years ago with Tigger while playing Monopoly. 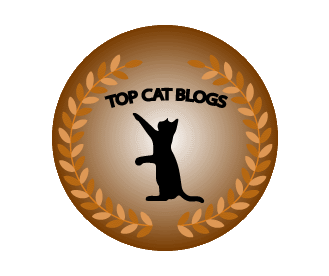 You can see that here on my blog Just Fur Laughs. 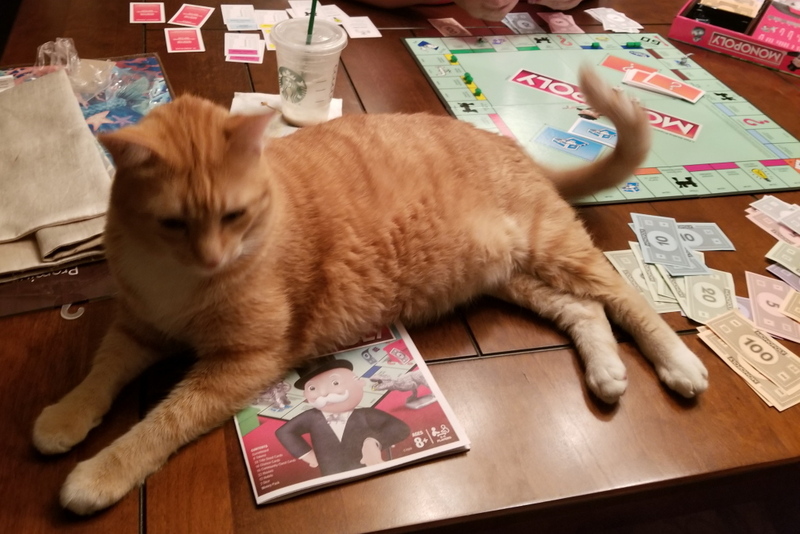 This entry was posted in Uncategorized and tagged Cats, game, monopoly on September 25, 2018 by Charles Huss. I’m surprised you actually got to finish the game! I thought the cats would wind up winning. I thought that too for a while. I guess Monopoly is too boring for them. I heard that…and you didn’t win…I backed out gracefully! You backed out after your money was gone. If she did that she would go to jail without passing go. That’s so funny – we used to have a heck of a time doing jigsaw puzzles for the same reason with Sammy. No way was it happening until HE was asleep and David made a special board to keep the puzzle on that we could put up HIGHER THAN HE COULD GO for safe storage between bouts of working on it! Ha! Shoulda played the online version! I had boardwalk in Park Place but the game was over before I was able to put hotels there. That is too funny.I think Chris was mad you didn’t buy Catopoly. I guess we are bad parents not paying attention to them 24/7. Don’t have many “Catzilla” moments. But, they do like watching the printer. My Egypt was a good office manager, sorting pages. Susie is learning how to sort pages, provided they are in her sleeping box. I have two cats that sleep on the printer.